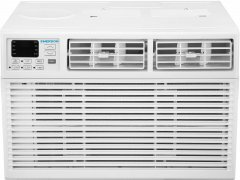 Given this air conditioner's compound rank of 89%, we are confident that the Frigidaire FFRE0833U1 is currently Alphachooser's best 8000 BTU window air conditioner 2019. Furthermore, we think that our 540 reviews sampled from our sources give us a high confidence level (more on confidence levels) that justifies making it a "no-brainer best choice." 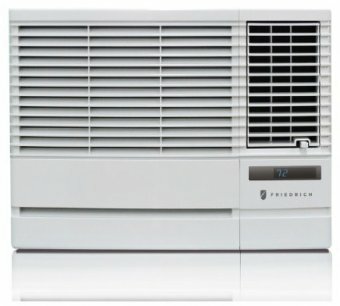 The Frigidaire Gallery FGRC0844S1 is a smart 8000 BTU air conditioner that's described by many of its reviewers (We looked at 6183 reviews for this write-up) as one of the best-looking air conditioners out there. 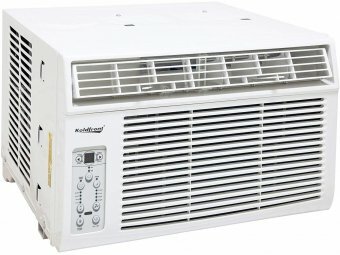 By the way, its 6000-BTU Frigidaire FGRC0644U1 little brother can also be found here at AlphaChooser. Apart from its sleek and beautiful aesthetic, the FGRC0844S1's defining features also include its Amazon Alexa compatibility (Alexa device sold separately), which basically means that users can control it through voice commands on top of its minimalist remote control, Wi-Fi connectivity, and dedicated smartphone application. Its touch-sensitive control panel also sounds like a nice touch. This 8000 BTU window smartphone-controlled AC also received some praise for features like Eco Mode (smart ACs are generally more energy-efficient than conventional ones) and scheduler, the latter obviously allowing users to set certain times of the day for it to fire up, mainly for those who want to come home to a cold room after a day's work . A couple of other happy buyers loved this 4-star unit for its upward air deflection, which means that it causes cold air to come down slowly onto the room, instead of blowing it directly at you. A couple of its negative reviews involve units whose internal components broke down after just a single season of use or ones that made awkward noises when running, although, even its critical buyers agree about its external beauty and smart usability. 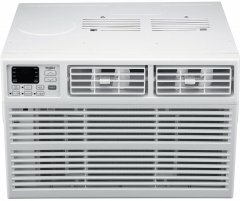 In the end, our shopping algorithm, which scoured our sources and sampled a total of 12880 reviews for 8000-BTU air conditioners, considers the Frigidaire Gallery FGRC0844S1 as one of the top 10 models in its category -- Alphachooser's second best 8000 BTU window air conditioner 2019, to be more particular. 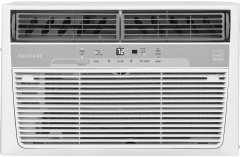 Frigidaire's FFRH0822R1 is an 8000 BTU AC unit tailored to home spaces of up to 350 square feet. 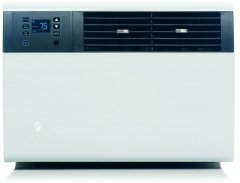 Aside from cooling, this 4-star unit is also capable of putting out some heat for the chilly seasons, being rigged with a 7000-BTU heat pump with a consequent 3500-BTU supplemental heating capacity, which, as far as its user reviews are concerned, seems to be its most distinguishing feature. It comes with a slide-out chassis design that enables it for window or wall installation -- a window-mounting kit is already included in the package. Typical features, such as a 24-hour on/off timer, multi-speed electronic controls, and a dedicated remote control that many users found quite convenient, are on board as well. While its heat pump separates it from most other 8000-BTU ACs featured here at AlphaChooser, some of its 527 reviewers grumbled about its actual heating performance. For instance, several users reported that while its cooling performance is satisfactory, its heat pump barely blows any warm air into the room. Then again, a good number of its reviewers attest to its heat pump working like a charm. A couple of other bad reviews talk about units that either arrived with defective compressors or broke down entirely in less than two years. On a more positive note, many of its users noted that the FFRH0822R1's operational noise level is, as one user puts it, perfectly tolerable . This unit also received some praise for its body and aesthetics, with some users saying that it has a superior build quality and that it looks sharper than some tantamount AC units from competing brands. 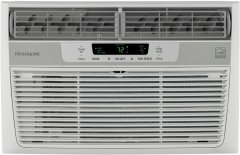 So, with the blend of negative and positive reviews discussed above and our shopping algorithm having weaved its way through a total of 12880 reviews for 8000-BTU window air conditioners, we can say without a doubt that the Frigidaire FFRH0822R1 is not exactly the best choice, but, being an Alphachooser good choice, it's still one of the top 10 window-mounted 8000-BTU ACs you will find. 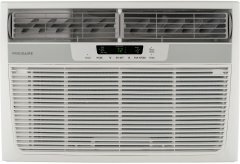 A relatively compact 8000 BTU window air conditioner, the Frigidaire FFRE0833Q1 averages a rating of 4 stars after being reviewed by 1150 buyers. It comes with a 1.7-pint hourly dehumidifying rate and, like plenty of other window AC units listed here at AlphaChooser, a clean air ionizer for filtering out pollen and other allergy triggers. Also joining in is a favorably-high Energy Efficiency Ratio (EER) of 11.3. While it has its fair share of negative reviews, the FFRE0833Q1's performance was not criticized that much. Instead, most of its unhappy buyers complained about units that broke down and completely stopped cooling after only several months or ones that never even got the ball rolling on day one. On the contrary, many satisfied buyers were delighted to find that the FFRE0833Q1 is a deceptively small (It measures 18.5 inches wide and 13.44 inches high) powerhouse. 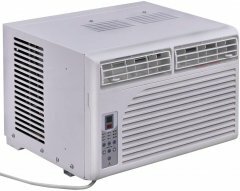 One particular reviewer describes it as a small but mighty window AC, while another loved it for being way stronger than its size makes it out to be. Another reviewer enthusiastically reported that the FFRE0833Q1 manages to maintain a comfortable temperature within the 675-square-foot first floor of their home -- on paper, an 8000 BTU rating is designed to cover spaces of only up to 350 square feet. While its 60.9dB maximum noise level sits high on the operational noise spectrum (Many of its rivals don't reach the 60dB mark), some satisfied reviewers mention that this unit is way more quiet than the older models it replaced or even versus competing ones with similar BTU ratings, which sounds like a neat byproduct of its rather compact form factor. Wrapping up, we turn to our automated review crawler, which sampled a grand total of 12880 reviews for 8000-BTU window ACs, for a verdict. 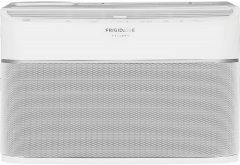 Here's what it says: The Frigidaire FFRE0833Q1 is rightfully an Alphachooser interesting choice, brushing shoulders with the top 10 AC units in this category. 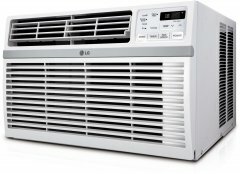 The LG LW8016ER's noise rating of 54dBA may be just 2dBA shy of the mid-2018 average (which technically qualifies it to be a relatively-quiet air conditioner), but some customers talk about its operational noise levels as if it were the quietest window AC they've ever used (yet a much smaller number of people have also said otherwise) . Its energy efficiency ratio of 12.1 has obviously been a more-than-welcome bonus, as this makes this 8000 BTU window air conditioner among the most energy-efficient models we have seen here on AlphaChooser. 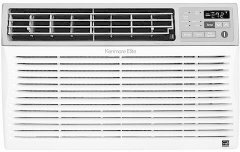 At present, with 2869 total customer reviews, this air conditoner has managed to get an average rating of 4 stars. The cooling fan has been reported to be plenty powerful, which apparently shortens the cooling time to a delightfully-quick span. This low-profile 8000 BTU air conditioner has also been noted to be easy to install, albeit being a little bit heavy. With that said, having a friend over to help lift it during setup would probably work just fine. The controls are reportedly far from being complicated, so potential buyers can expect to not have to deal with fussy handling. The on and off timer has been commended a lot, as well. There have been reports of buyers experiencing a loud rattling noise when they turn on this air conditioner for the first time. However, this issue appears to be resolved easily by inserting a panel of wood under the unit, as this AC apparently needs some applied pressure from underneath. This window-mounted AC is not without its imperfections. Surely, some people may feel that having to fix the above-mentioned initial issue is way too much of a hassle. However, for a large number of people, this extra step appeared to be worth it, as they ended up very satisfied with this LG air conditioner. 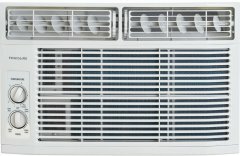 With that said, after scouring through 12880 reviews for all 8000 BTU window air conditioners, our review crawler found that this is, in the end, deserving of a spot in our top 10 list as an Alphachooser interesting choice.